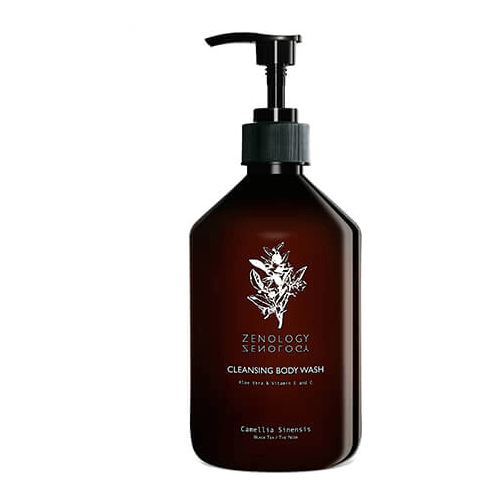 This refreshing body wash provides a rich, creamy lather while gently cleansing the skin. Formulated with hydrating sodium PCA (a naturally occurring humectant that draws moisture to the skin) and protective Aloe Vera extract to help the skin maintain a perfect moisture balance. Our formula deeply nourishes with Vitamins E & C to keep skin extra-healthy and looking its best. One of the most well-known and researched antioxidants for the body and for skin. Vitamin E occurs naturally in human skin but can become depleted due to constant environmental exposure in the absence of sun protection. Aqua, Sodium Lauroyl Sarcosinate, Cocamidopropyl Betaine, Inulin, PEG-120 Methyl Glucose Dioleate, Parfum, Acrylates Copolymer, Aloe Barbadensis Leaf Extract, Sodium Benzoate, Hexyl Cinnamal, Guar Hydroxypropyltrimonium Chloride, Potassium Sorbate, Potassium Olivoyl PCA, Sodium Cocoyl Glycinate, Ethyl Ascorbic Acid, Geraniol, Linalool, Citric Acid, Tocopherol, Sodium Hydroxide.